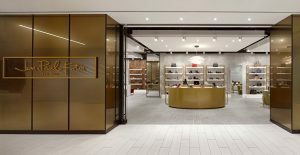 Established in 1964 and originating in Quebec City, Jean Paul-Fortin is a luxury shoe retailer that opened their first store in Toronto within Yorkville Village this September. JP Fortin features unique collections with a focus on European brands, quality, craftsmanship and style. We chatted with Madeline Willis, Assistant Manage of Jean-Paul Fortin to learn more about what resonated with her about the Fashion Heals cause and why she and her team decided to provide shoes for the runway models at Fashion Heals without hesitation. Jean Paul Fortin, Canadian luxury shoe retailer located in Yorkville Village will be providing shoes for the all-star model on the Fashion Heals runway.